What are the holidays without a little sparkle and glitter?! Today’s gift selection provides a little of both. 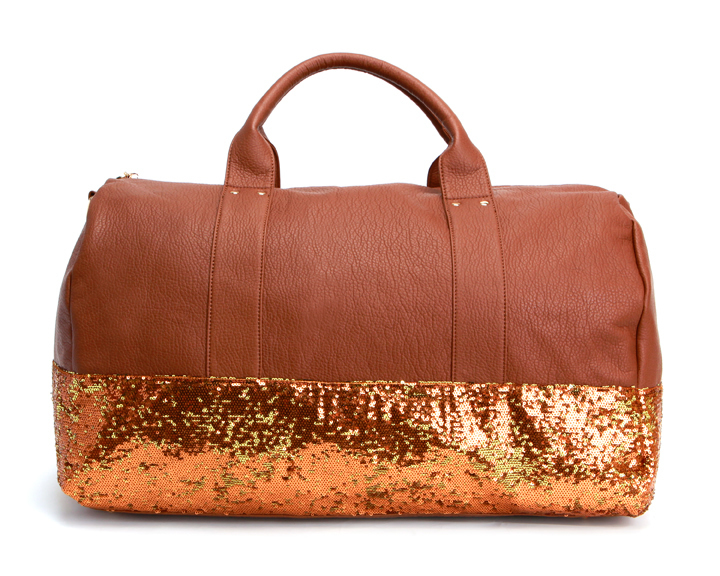 I love the Felix Weekender Duffle from Deux Lux. Practical, yet stylish, it also comes in Steel, and Midnight. The Felix Weekender Duffler was also featured on Oprah’s Favorite Things! If it’s good enough for the big “O,” it’s good enough for me.